did you reflect on the past? In the Western world, this time of the year is typically used to reflect on the year past and set goals for the year ahead. Reflection is key to this process, as it helps us celebrate our successes, embed our key learnings, and take our development and goals to the next level. 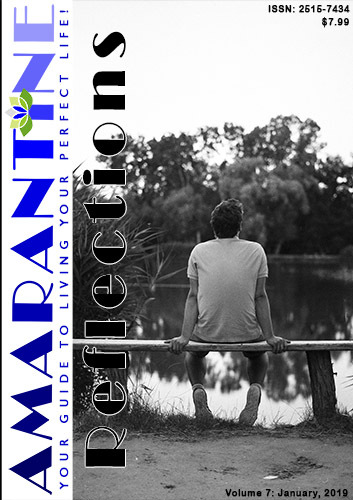 Therefore, in this issue of Amarantine, we focus on reflection! Do I deserve a better life? Reflecting on the structure of the human language! Reflection on your future … what value do you put on your jar of marbles? Language is more than the words spoken!